The Los Angeles Unified School District's $30 million program to outfit 47 campuses with iPads is running substantially richer than planned, with the system paying nearly $100 more per tablet than originally budgeted. According to the district's latest budget disclosure, L.A. Unified is paying some $770 per iPad, about $100 more than the $678 per iPad figure quoted when the program was announced in June, the Los Angeles Times reported on Tuesday. The discrepancy stems from confusion regarding the bulk purchase discount Apple agreed to supply with the iPad buy, which is part of the school system's $1 billion educational technology initiative. 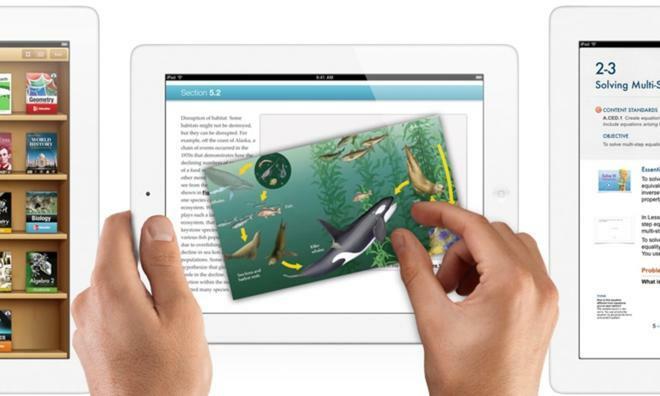 L.A. Unified is still eligible for the discounted pricing of $678 per device, but only after the district spends $400 million, worth 520,000 iPads. As reported in July, the public school system planned to distribute 31,000 iPads across 47 schools in what Superintendent John Deasy called a "pilot test." Originally, a $50 million budget was drawn up using an early estimated iPad price of $650, which allotted $20.3 million for the tablets and the rest for training and infrastructure expenses. In the latest budget, the district made an over $4 million adjustment to account for the additional iPad cost. The publication noted that cost-per-unit is higher for the schools as each device comes with a protective case, three-year warranty, training and one Apple TV for every 20 students. While L.A. Unified anticipates that it will reach the $400 million goal, not doing so would nullify the Apple contract, meaning the system would pay even more for the iPads. The program came under scrutiny in September after a number of students bypassed the school-installed security safeguards, allowing them to browse the web and visit banned sites like Facebook and YouTube. The district consequently halted iPad home use, while some schools opted to repossess the devices. For now, the program is still a go, though some aspects have been delayed, while others borrow money from the general school fund.